Summer is now on the horizon and everyone is gearing up to soak in the sunshine. Across our great nation, many citizens are unveiling their pools and getting prepped to make that first splash of the season. After all of that pool winterizing you completed last year, it’s time to get busy preparing your swimming pool for recreation. If you are in need of professional swimming pool services in New Jersey, our trained professionals can help! Alpa Pools & Spas is here to make your water shine, from pool cleaning services to extensive repairs. Today, we’ll continue off of our last blog that offered summer pool preparation tips. No matter what pool cleaning services you need, our New Jersey-based company is here to provide top-notch assistance from start to finish. For those who are looking to do it themselves, read on! Once all of your equipment has been installed and all of the plugs have been removed from your return and skimmer lines, it’s time to fire everything up. We recommend priming the pump and activating your filtration and circulation equipment as well. Run through the setup while keeping an eye out for any equipment that looks or sounds funny. A long time in storage may have resulted in damages, and as always it’s best to learn about these malfunctions now as opposed to the eve of your opening day. Alpa Pools & Spas recommends running your system for 8 to 12 hours to ensure that everything is operating smoothly. After this check has run its course, it is now time to check the chemical composition of your water. This can be done by picking up a quality test kit from our retail store in North Haledon. This kit will help you to determine the water’s pH level, total alkalinity, hardness, and so on. The correct balance of each factor varies based on region and product, so it’s best to contact your top-notch swimming pool cleaners for assistance. Generally, your pH level should sit between 7.4 and 7.6 while your chlorine levels should range from 2 to 4 parts per million. If the overall alkalinity of your water exceeds 120 parts per million, balancing will be needed to rectify the issue. Make sure to carefully follow the directions included in your test kit, as something as simple as a misplaced finger smudge or inaccurate water sample location can compromise the entire operation. Once everything has been balanced, it’s time to clean out all of the debris to get the opening process started. Be sure to clean any algae or grime covering your steps and near your filters. After every area becomes spotless, it’s time to run your filtration system, usually overnight. This will ensure that any remaining gunk is filtered out. Finally, it’s recommended to shock your pool with a product that is designed to kill off any remaining contaminants. Once your pool is activated and cleaned, it’s now time start enjoying it! Alpa Pools & Spas is here to help our customers along the way. 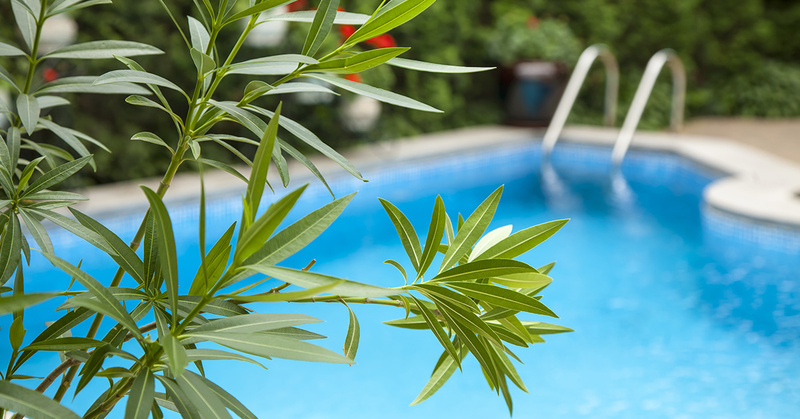 Our swimming pool services give New Jersey residents the ability to enjoy the water all season long with little worry. If you are in need of assistance, from tips to swimming pool repairs, feel free to contact us today for an appointment!